Sugar Barron Griggs enjoys helping buyers find their perfect home and helping sellers market their home in the most effective and attractive way! 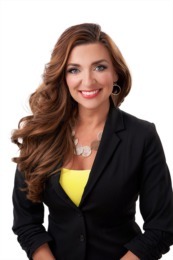 She has a proven track record of sales success and a degree in Advertising, Public Relations, and Marketing from the University of Southern Indiana. Whether you are looking to buy or sell a home, she will work with your best interests in mind as if they were her own, while offering the utmost professionalism, commitment and integrity. She's also a skilled negotiator ready to help you achieve your REAL ESTATE GOALS while making the process fun and enjoyable!!! Get started today!!! Talk To Sugar at (270) 285-3575!